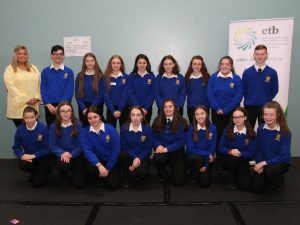 Congratulations to St Catherine’s Vocational School who are this year’s winners of Donegal ETB’s 2018 Enterprise Day for schools and Youthreach centres. 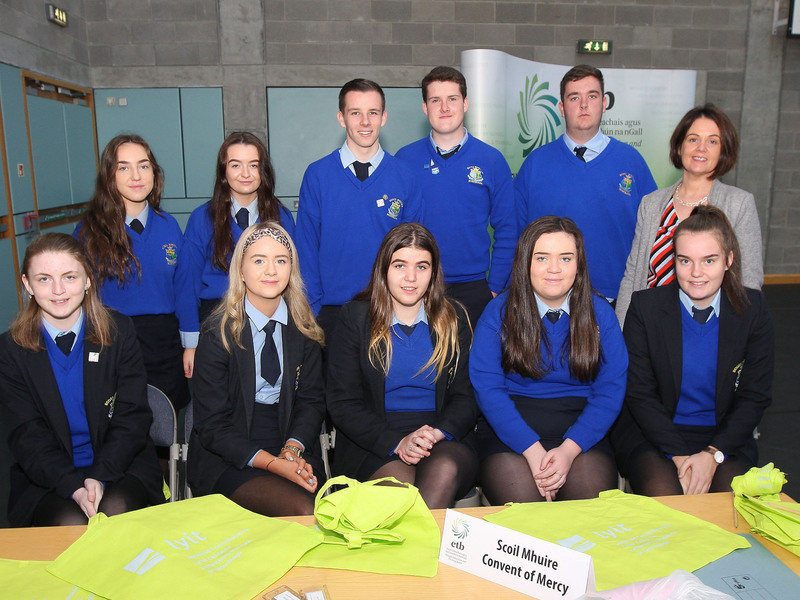 The event took place in Letterkenny Institute of Technology (LYIT) on Wednesday 17 October. Second place went to St Eunan’s College, while the Abbey Vocational School came third. 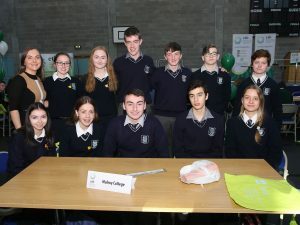 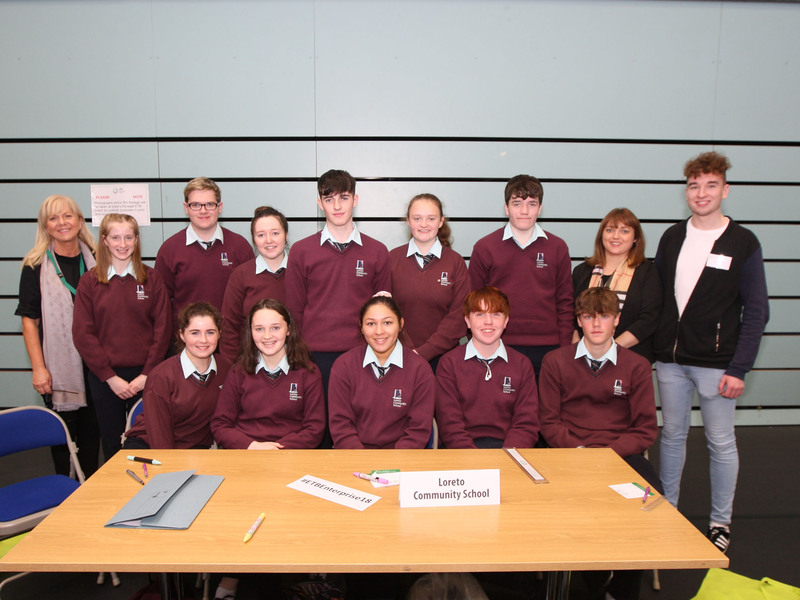 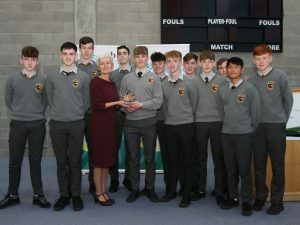 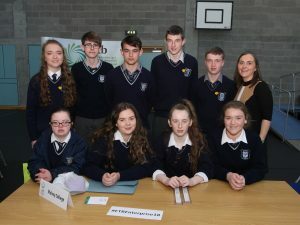 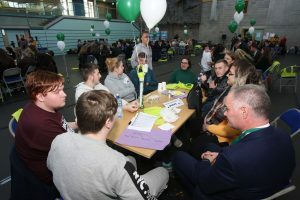 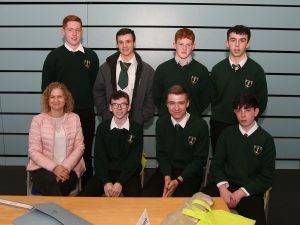 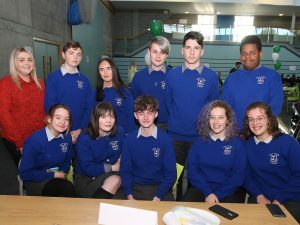 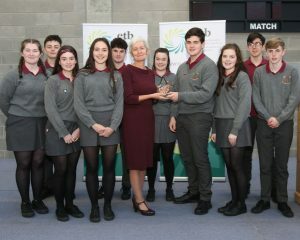 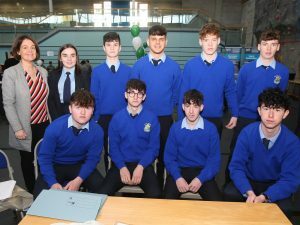 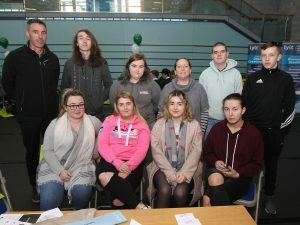 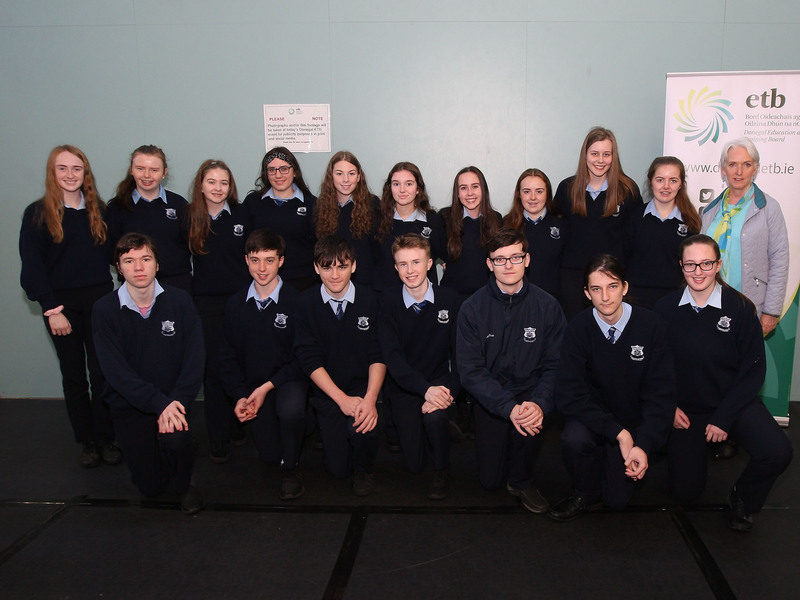 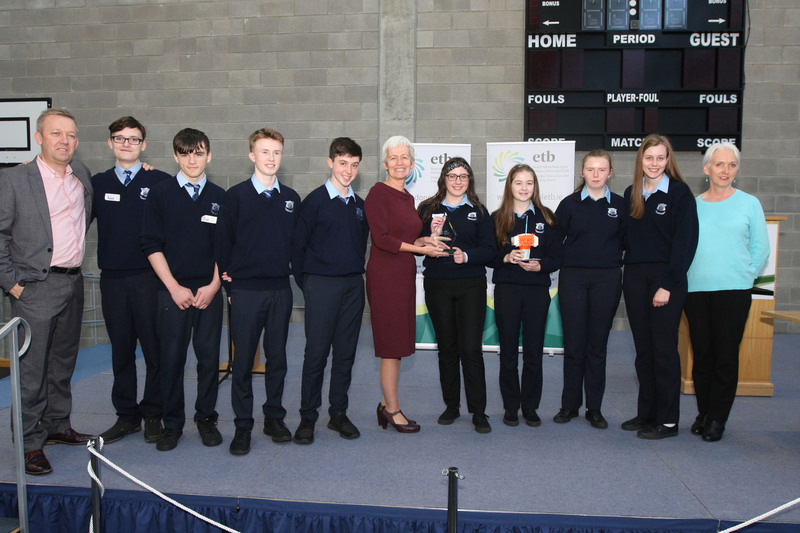 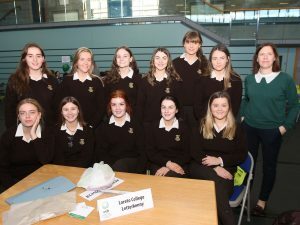 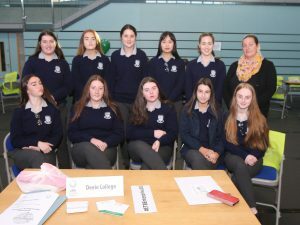 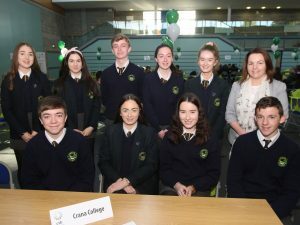 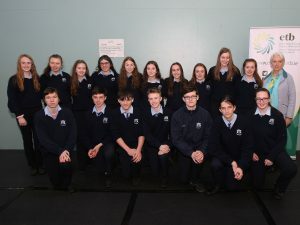 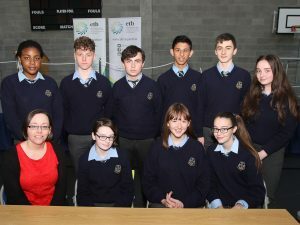 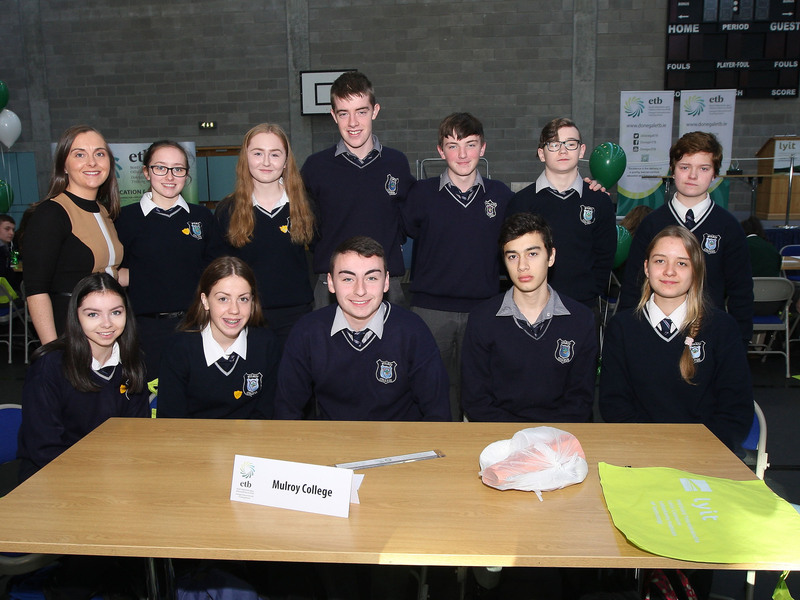 Two hundred and forty young people from post-primary schools and Youthreach centres across the county participated in the event which involved each team developing a product on which they were judged in a Dragon’s Den-type set up. 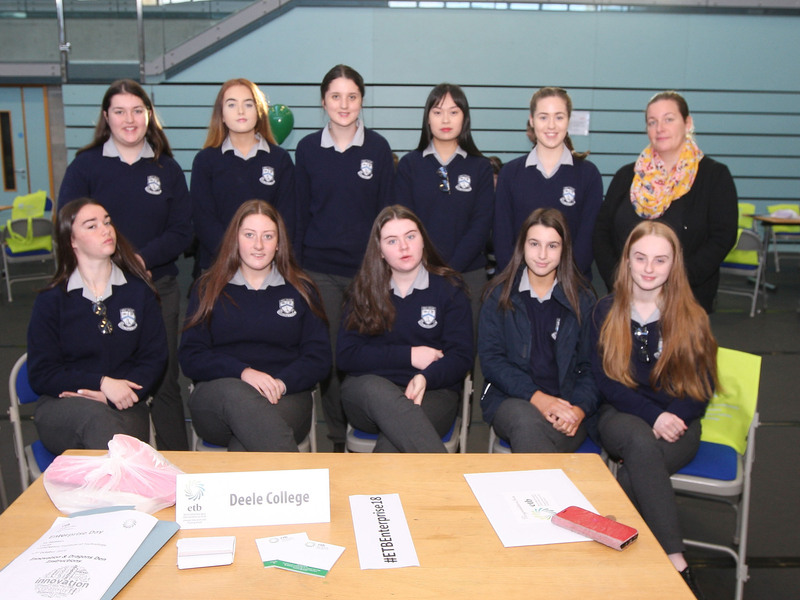 Teams were given a business mentor and an LYIT business studies student to guide them throughout the day. 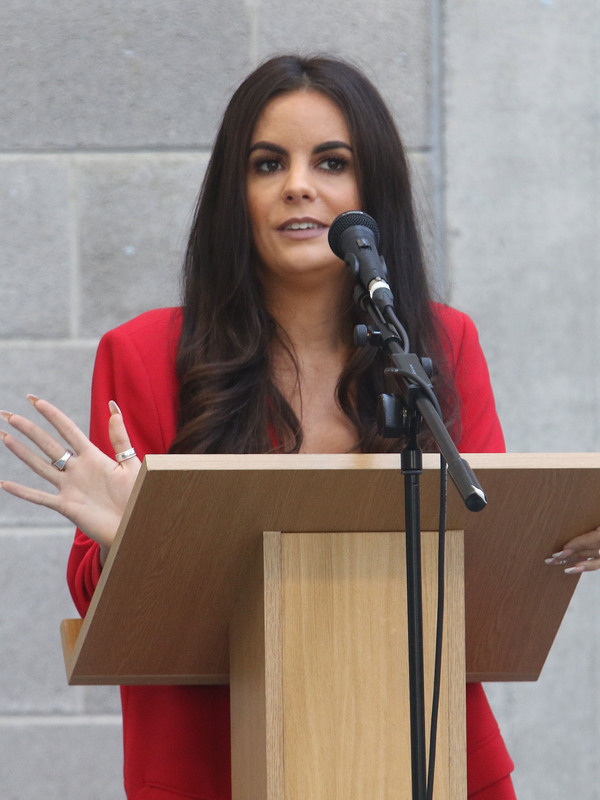 Buncrana entrepreneur Nicola McLaughlin, otherwise known as the Sequin Cinderella spoke to participants in the morning about her entrepreneurship journey. Nicola started out as a fashion blogger, became a fashion designer and then opened a boutique in 2016. With a combined social media following of over 50,000 followers, Nicola had a wealth of experience to share with the students. 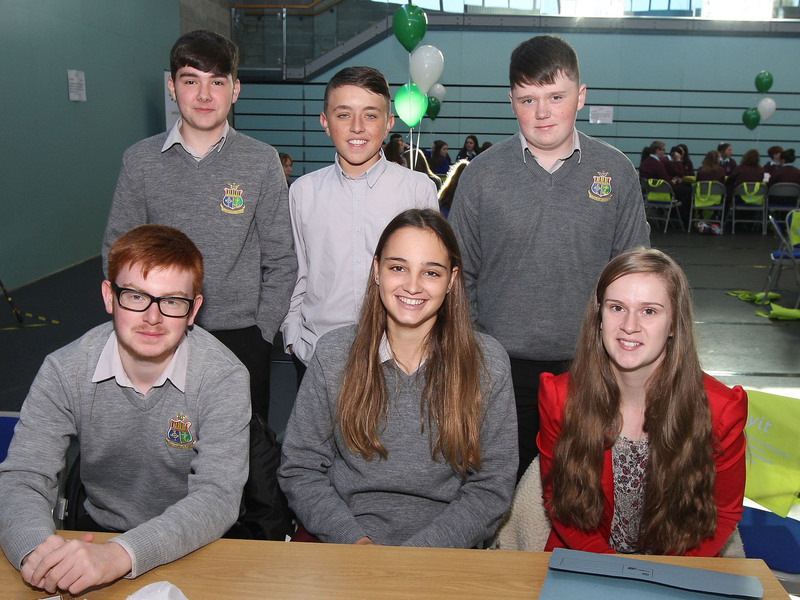 After teams pitched their ideas to the judges, the final three teams then pitched to all participants. 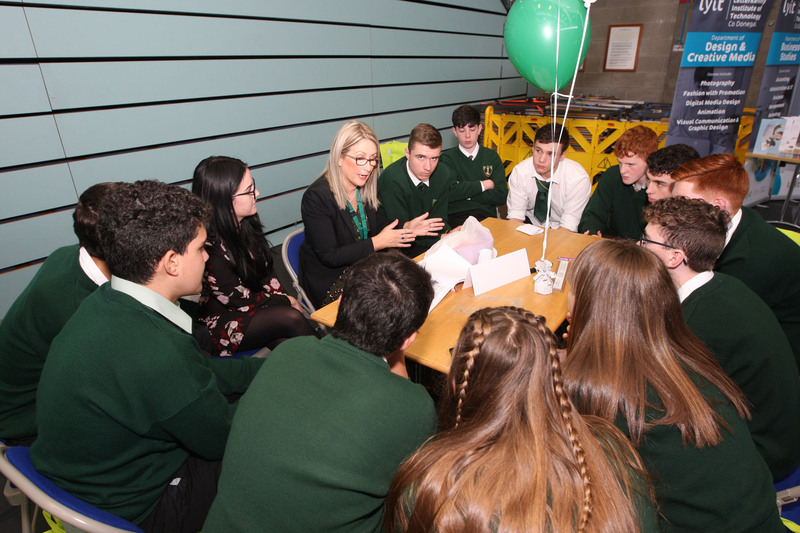 The judges found it very difficult to pick an outright winner due to the high standard of work presented to them. 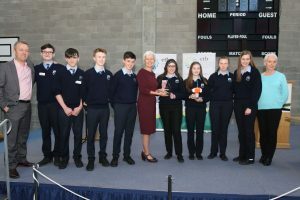 St Catherine’s Vocational School came up with an innovative product called ‘Snip and Snack’, with a unique all in one design that allows cinema goers for example, to hold food and drink in the one container. The team was supported by mentor Jimmy Stafford of Bank of Ireland. The participating schools and Youthreach centres were the Abbey Vocational School, Donegal Town; Crana College, Buncrana; Deele College, Raphoe; Errigal College, Letterkenny; Finn Valley College, Stranorlar; Moville Community College; Gairmscoil Chu Uladh, Ballinamore; Gairmscoil Mhic Diarmada, Arranmore; Loreto Community School Milford; Loreto Convent, Letterkenny; Mulroy College, Milford; St Eunan’s College, Letterkenny; St Catherine’s Vocational School, Killybegs; St Columba’s College, Stranorlar; Scoil Mhuire, Buncrana, Youthreach Buncrana/Glengad and Youthreach Gortahork. Donegal ETB and the organising committee would like to extend a huge thank you to all students, learners, teachers, Gartan OETC staff, Lee Gooch (MC) and LYIT for participating in, assisting with and supporting the day. Particular thanks are extended to the business mentors and judges who gave up their day to support the event, including Leonard Watson, Watson’s Menswear; Philip McGonigle, MLMG Accountants; Laura McGonagle, AIB; Lucia McCauley, AIB; Jimmy Stafford, Bank of Ireland; Mary Crawford, The Right Angle; Richard Finney, The Counter Deli; Jonathon Officer, Radisson Blu Hotel; Shane Kelly, Radisson Blu Hotel; Sarah-Marie McDevitt, Pinehill Studios; Rachel, Patrick Gildea Hairdressing; Anastasia Caples; Jackie Gallagher, Cookie Kidz; Sandra Devenney, McElhinneys; John Kelly, SITA; Marie Shields, Moss Marketing; Roisin Woods, Retail Ireland Skillnet; Patricia Connolly, Poppy Interior Design; Toni Forrester, Letterkenny Chamber of Commerce; Ann McGeever, La Maison, Stephen McGuire, Donegal Daily; Pauline Sugrue, Wild Garlic Table; Colette Callaghan, DLDC; Isobel Cunningham, LYIT; Ciaran O Brien, Mairead McFadden and Deirdre Bonner. This is the fifth year of this event which saw an increase on the number of entries from 2017. 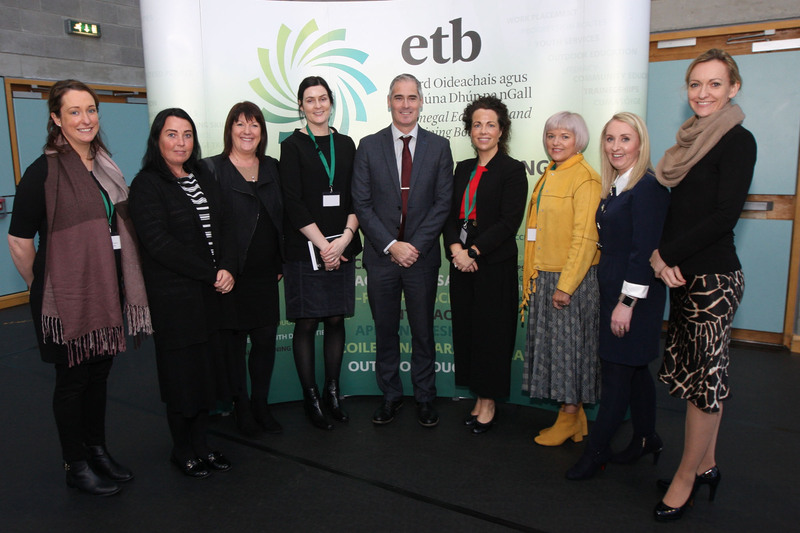 Further information and photos of the day can be found on Donegal ETB’s Facebook page and Twitter account (@DonegalETB) through #ETBEnterprise18. Donegal ETB Enterprise Day 2018 1st Place – St Catherine’s College Killybegs. 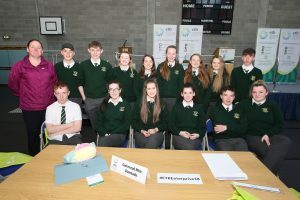 Donegal ETB Enterprise Day 2018 2nd Place – St Eunan’s College, Letterkenny. Donegal ETB Enterprise Day 2018 3rd Place – Abbey Vocational School, Donegal Town. 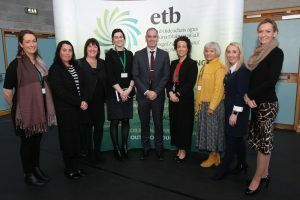 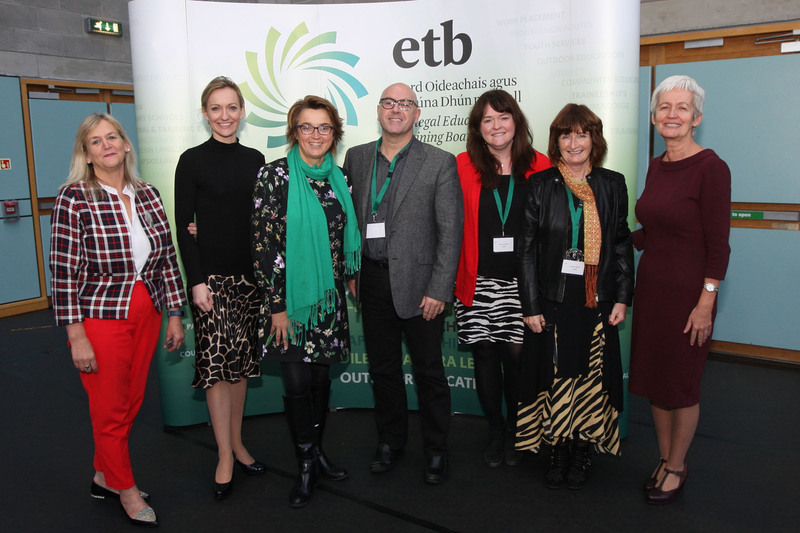 Donegal ETB Enterprise Day 2018 organising committee. 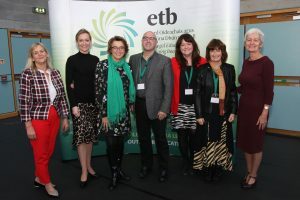 How Happy Are We in Donegal?